Very cool new Laser System looks like it’s straight off the set from Star Wars. 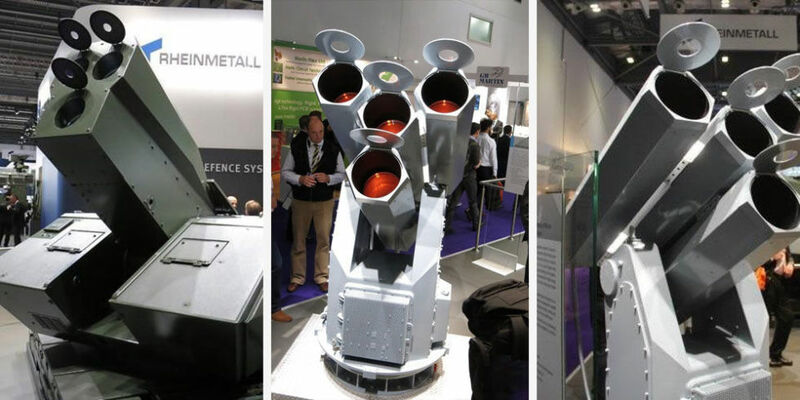 Laser Weapons: This very cool German-built laser system above was recently highlighted in Popular Mechanics. It is unknown when it will be field tested but there are some laser systems already operational in the US military. The US Army is fielding a powerful new Drone Killing Laser. The US is also fielding drones that are armed with lasers. And the US Navy already has a functional laser weapon, known as the Laser Weapons System (LaWS), mounted on the USS Ponce, which is currently deployed in the Persian Gulf. These laser weapons are a part of a worldwide effort among various nations to update their military capabilities to meet 21 Century challenges. It seems that technological challenges that have held up progress for decades are being rapidly overcome. Military advisors say the days of lasers being an integral part of a country’s military capability are just around the corner. 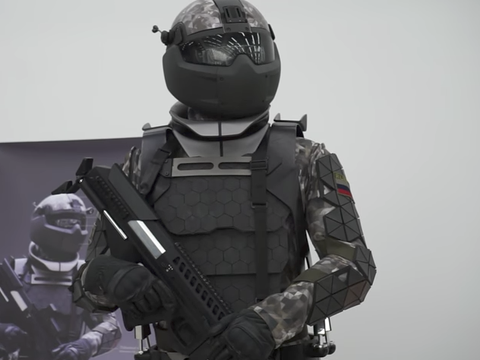 Exoskeletons/armored suits: The Russian military just revealed it’s new combat armor concept that features strength augmentation, advanced armor, heads-up displays of tactical information. The US military is getting set to unveil its own Tactical Light Operator Suit, also known as the “Iron Man” suit, in 2018. And the French military is developing its own armored suit called the Integrated infantryman equipment and communications system, or FELIN. We are a long way from fielding the type of Cyborgs depicted in many Sci-Fi books and movies but the technology for these types of human/machine mixes is under development and in some cases, already installed in humans.